An Icosahedron has 20 equal triangular faces. It is symbolic of water and our sacral chakra. 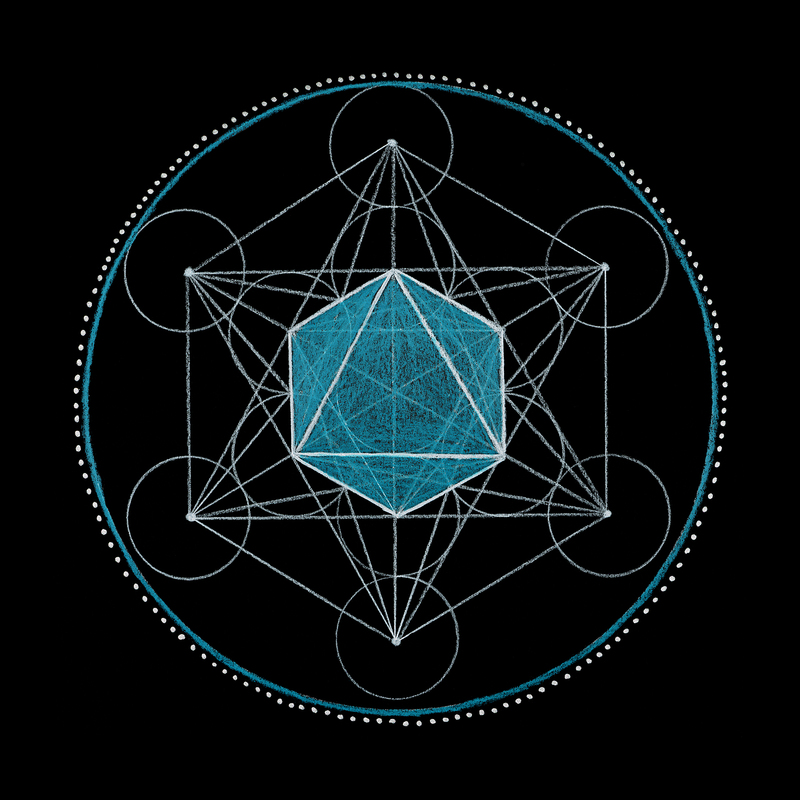 The dual or partner of the icosahedron is the dodecahedron, the element of ether. Combined, they represent carbon. As carbon beings, we are made primarily of water and ether or energy. Water is the element within our body that provides our cells with the necessary nutrients for life. Our body consists of roughly 75% water. Our earth is over 70% water. Water is symbolic of the creative force of nature. We see it in rain, lakes, oceans, rivers and springs. It is life giving and often associated with creation. Water is both replenishing and destructive, creating a sense of duality within the whole. This is the essence of chaos, which in turn leads to order and the creation of something new. The sacral chakra represents our sexual and creative energy, a primal source of chaos. In the ancient world, water was seen as the creative source of all life. In the practice of Feng Shui, the elements of wind and water are in constant opposition to each other yet they come together to form Chi, or life force energy. Water represents the essence of creative desire. Message: Water is reminding you that the power of chaos is a creative and necessary force that will ultimately bring balance to all areas of your life. Connect with the power of water to help you cleanse, replenish and heal. Flow with the changes that are flowing within you. Be open to creating a new way of living that truly rejuvenates you. The sacral chakra is located in the lower abdomen that is connected to the reproductive system. This is the sacred place of creation, pleasure, relaxation, fearlessness and peace. It represents our emotional world and the archetype of the jaguar as the peaceful warrior. 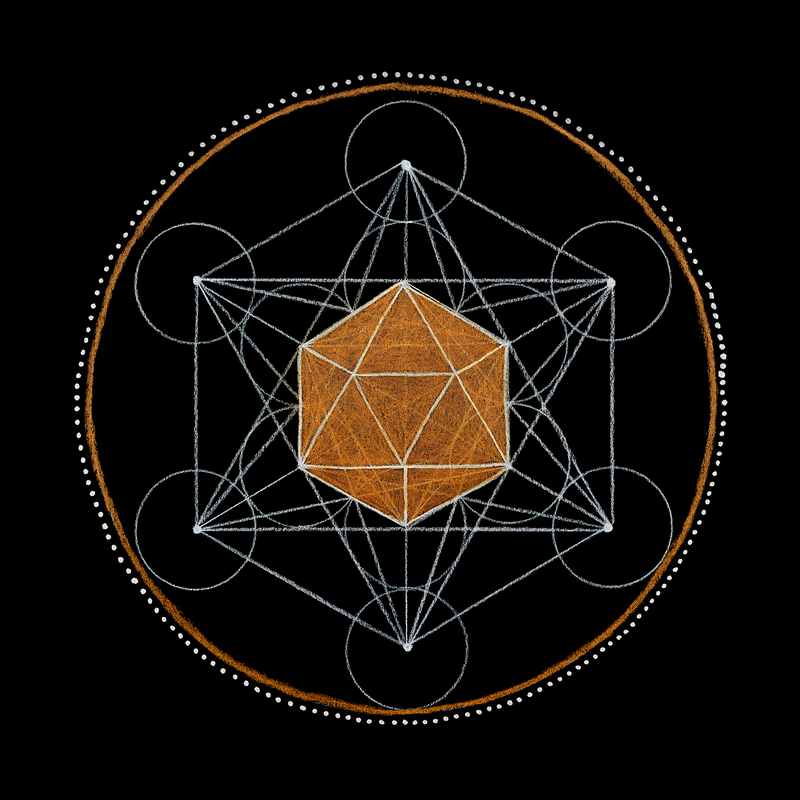 In sacred geometry, this is the vesica piscis or portal of life. Its element is water and its belief system embodies the Taoist tradition of inner harmony between yin (female/earth) and yang (male/sky). Here one becomes aware of them self as a human. This chakra balances the sacred feminine with the sacred masculine to make peace within. An octahedron has eight equal triangular faces. It is made up of two four-sided triangles (pyramids) of equal proportion that meet at the base. The dual pyramids represent cosmic balance. 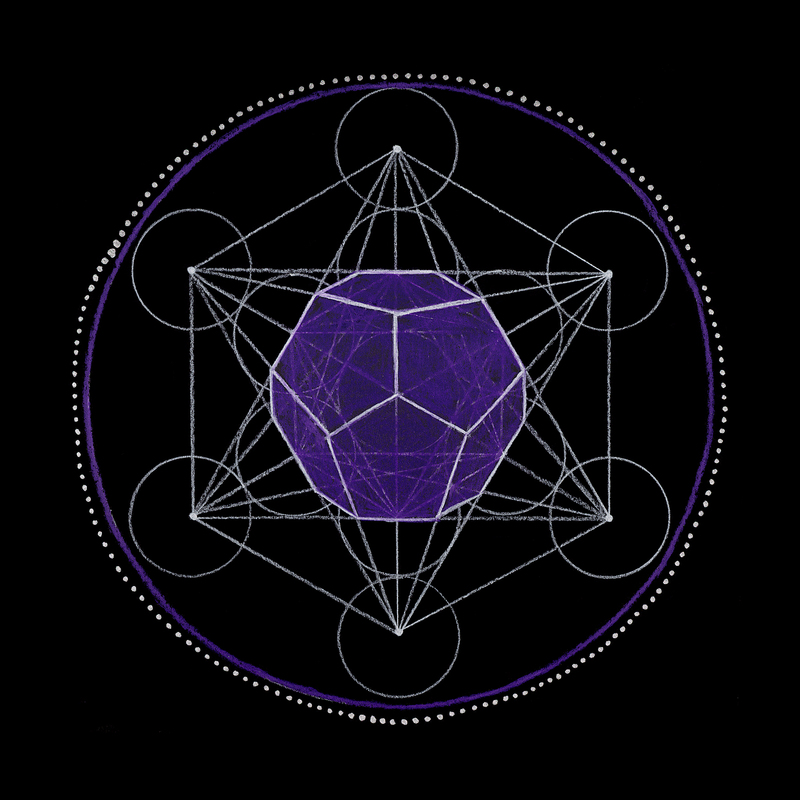 The octahedron is symbolic of air. Greek philosophers saw two levels of air. “Aer” is the atmosphere that we breathe, which surrounds our earth. “Aether” is the air above the clouds associated with the divine or sky. Air is the creative essence of life; breath creates life through vibration. In Chinese philosophy air is chi or breath, the eternal source of life force energy. In Hindu tradition, Prana is the act of breathing in life. In Christianity, breath in the form of a word was the creation essence of God. The air we breathe is in fact made up of nitrogen, oxygen, argon and carbon dioxide. Trees are often called the lungs of earth because they breathe in carbon dioxide and release life giving oxygen. Air and breathing is a reciprocal process as we inhale oxygen and exhale carbon dioxide. To become mindful of breathing is to be present. Message: You are being asked to become more conscious of the air you breathe and how you breathe. Use your breath to exhale any heavy energy and inhale life-giving energy. As you find your inner balance, allow yourself to rest and recharge. You are entering a period of renewed creativity in your life. Be conscious how your words and your voice create your reality.